Our manufacturing and tooling solutions are engineered to suit a particular client’s project. Boasting over 100 years of experience, we are a full-scale machining solutions company that uses advanced technology and our team’s profound expertise to ensure quality molds, tools, dies, structures, fixtures, patterns, and jigs. We are equipped, trained, and experienced to handle different machining projects. Our company prides itself in having several capabilities that are industry-driven to design and customize parts and tools for varied applications and machines. 5 Axis Milling and Machining – We use a 102”-Y x 219”-X x 51”-Z working area with our CNC machine to approach a part from all directions. Give us your desired material, such as ferrous and non-ferrous metals or plastics. We machine gauges, fixtures, molds, stamping die, and models. Our team will deliver your parts, and they can also help with tool replacement, fabrication, prototyping, and refurbishing. CNC Turning – We produce precise depths and diameters to suit your project. Our remarkable turning process allows us to customize a part using varied materials and shapes to attain the desired precision. Whether it’s thin wall turning or high tolerance turning, we work diligently and expertly to meet your specific part requirements. CNC Machining and Milling – We can handle projects that require horizontal or vertical milling to deliver the right shape for your parts. With our 2, 3, and 5-Axis machines, we cut and shape precision products to fit your technical specifications. Our flexible working area accommodates different sizes that you need. CNC Routing/Plastics – Whatever cutting project you have, we are here to help. We work with plastics such as Delrin, Acetal, Ultra-High-Molecular-Weight (UHMW), Polyethylene Terephthalate (PETG), and Polycarbonate, as well as many others. Our routing services can help you to ensure that your plastic-based parts are designed with focus and accuracy. Metal Forming – If you want to reshape your parts into your desired shape, just give us the details. We customize the part to ensure compatibility with other specialty hardware. We also help you package the parts for a convenient sale. Our process can support any number of specifications or materials! Weldment – We can assist with simple or complex machining projects as well as improving the functionality of existing weldments, regardless of materials. Whatever parts you need or any other machining solution, the team at Best Manufacturing is equipped to carry out your project. We do complete customization and custom orders with any material to make your project a success. Call us at (616) 877-0504 or email us to get a custom quote or to get help. The “Chute Project” began with a customer’s idea of how to make a lightweight chute that would allow one person to install a chute that was strong enough to withstand thousands of packages a day. 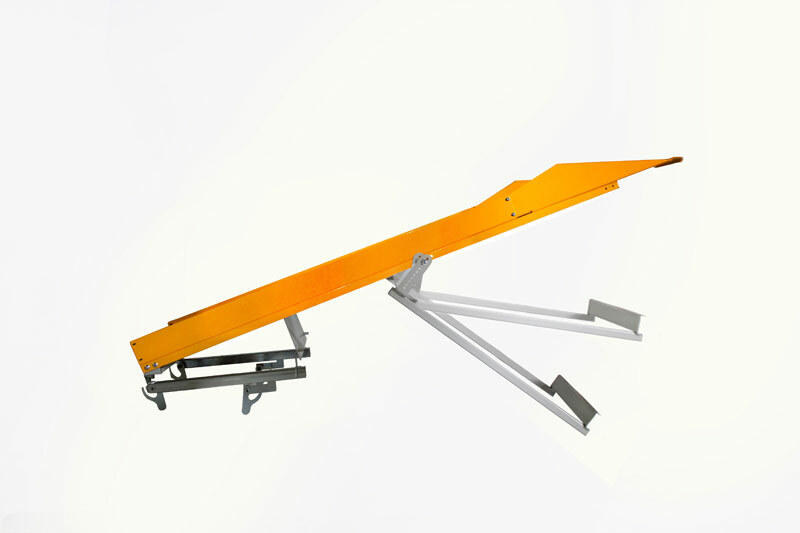 We worked through several concepts and tried various material to end up with a high-quality chute that adjusts to various angles and mounts directly to their customer’s machines With a few turns of a wrench, this chute can be installed in less than 15 minutes and for a price that large or small companies can afford.